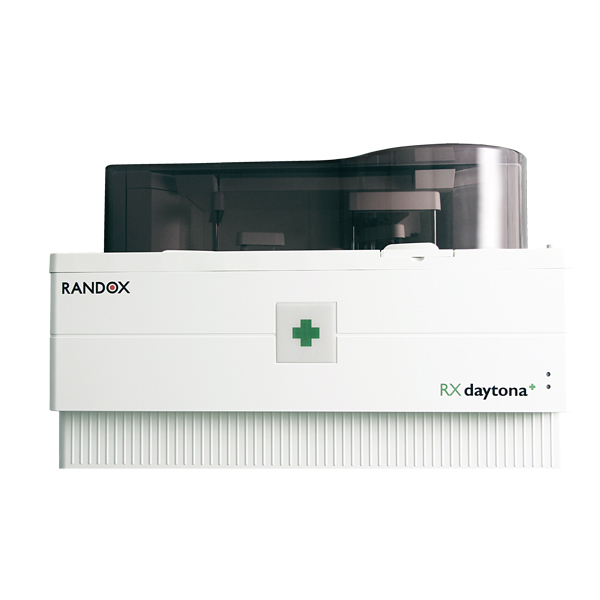 The RX daytona+ is a bench-top, fully automated, random access clinical chemistry analyser capable of performing routine & specialised testing and emergency STAT sampling. The most versatile analyser in its class, the RX daytona+ combines robust hardware and intuitive software with the world leading RX series test menu for unrivalled performance. The RX daytona+ provides high quality testing on a compact, easy to use clinical chemistry analyser for accurate results you can trust.